You can find a lot of clipping path service providers but to whom you will send your beloved photo, is the confusing question. Because every service provider tells you that they are the best. But how can you judge their quality before working with them? Here we come to solve your confusion with clear-cut speaking. This article is not a promotional article rather the idea behind this article is only to help the beginner photographer who is troubling with editing their photos. However, it no doubts, all the clipping path service companies try hard to be ahead in this completion and provide better service from each other. For that, you will find no service company in poor quality. But to find out the best, you need some research and factors to consider. 0.0.0.1 Are You Looking for Photo Editing Service? 1.4.0.1 Are You Looking for Photo Editing Service? Are You Looking for Photo Editing Service? It is best practice to have a little conversation with the service provider you want to work with. Ask for few of their previous photo editing. Ask for the both the original and the edited one. You can then justify their quality. To judge the quality, you need to know about the perfect editing with Photoshop. If you do not have much idea about photo editing, you can check this article to increase your knowledge base. Also, check their editors and designer’s portfolio to understand their quality and professionalism. It is very important for every one of the services you will take from a service provider. If a service provider is not so conscious about their delivery time, go away from them. It will cause your trouble and frustration. So, check out how much time they need to deliver each photo editing service. Talk with them, and fix your delivery time. If the company is easily accepted and promise that they can meet your required delivery time, you can keep your faith in them. It is recommended to talk with service provider freely and describe how you want your photos to be edited. Most of the professional clipping path service providers care your requirements and edit with maximum care. They also put their efforts with innovation and make your photo looking good beyond your expectation. To ensure that, just try 1 or 2 of their free trails. If the company is well enough they will please you with their free trial. We think this is the most important thing that makes a clipping path service provider top notch in the market. After editing your photos, and delivering that to you, you may feel there needs to change some color or do some more editing. A good company always appreciate this and a respect their client with their awesome post production service. Before ordering, make sure how they will care about the post-production service. Image editing or clipping path service is now widely used and companies are in a race to show their excellence. But in these, some are really up to business rather ensuring quality. You need to find out the best one on the market according to your requirement before spending your valuable money. 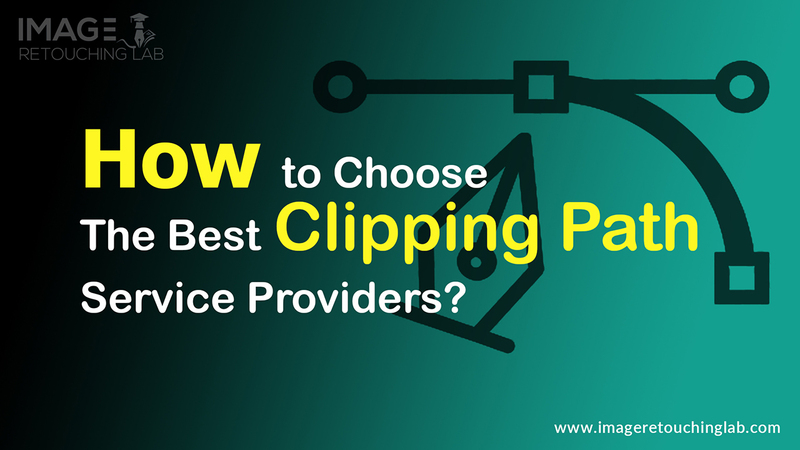 You will find some tips to find the best clipping path service providers in this article. This will make things easy to find out the best. Share this to help your friend and comment us if you have any trouble finding the best photo editing service.